Our top-rated tool is like working with a professional every step of the way. Get the job interview you want, today! What Makes a Good Cover Letter? A good cover letter should convince the hiring manager to give you an interview. It needs to be customized for the job, and help you stand out from the crowd. Most cover letters are boring and generic. That's where our cover letter builder comes in. We make it easy to quickly create a professional cover letter that will help convince companies to give you an interview. It's easy. Just select a professional template, and then click to fill in the blanks. You'll have your professional cover letter in less than 20 minutes. Click here to get started, and get the job interview of your dreams today! "I cannot express how helpful this has been. I was previously getting NO response at all from my cover letter - until using your service. Since then, I've received several interviews and am on my way to an exciting new career" -Angie P.
"Thank you so much! I came to you in frustration and your help has turned it all around. Since creating my new cover letter, I've received several job interviews. Your service truly opens doors. I cannot thank you enough!" -Sam K.
More than 117,000 satisfied customers! A cover letter is the best way to introduce yourself to a potential employer. It tells them a little bit about yourself, your background, and why you are interested in the position. A great cover letter is going to help you get your foot in the door and give you the best chance at getting a great position with any top company. There are many tools and resources you can use to help you create the best cover letter for advancing your career. To create a cover letter to go along with your job application, it is helpful to have the right tools at your disposal. If you are very confident in your word processing abilities, you can use a program to create your own organized and professional cover letter. 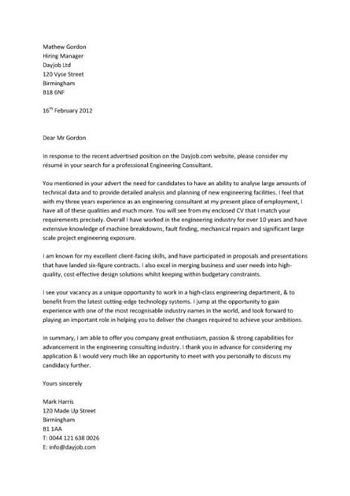 However, if you feel like you need some help creating a good outline, use cover letter templates. These templates can be opened in your word processing program, and then you can plug your information directly into the document. A template will have a neat, professional layout already in place for you. This way, you won’t need to worry about choosing a font or properly formatting the document. The easiest way to create a great cover letter is to use an online cover letter writer. These specialized webpages will let you enter your information into pre-selected information boxes. When you are finished plugging in your contact information and the body of the letter, the website will then create your completed cover letter. You can then save it to your computer’s hard drive or print it out immediately to include with your employment application. Your cover letter should always be accurate and professional. Never submit your cover letter without giving it a second look. Check for grammar and spelling errors and make sure you’ve included all the right contact information at the top of your letter. You don’t want to miss out on a job opportunity because you accidentally missed a digit in your phone number or spelled your email address wrong! Another good tip for cover letters is to highlight your skills with carefully selected keywords. These words will jump out at the prospective employer and tell them exactly what your strengths are. Use words that are easily understood and simple, like organized, experienced, and professional. Keep it simple so your cover letter will be easy to read and understand. Many hiring managers are busy and have a lot to go through, so they’ll appreciate a short and sweet cover letter. Try to keep the whole thing to one page. The right cover letter will improve your chances of getting noticed at a prestigious company. You can stand out from the other applicants if you use the right formatting and keywords. Using the right tools and tips will help you get the position you are truly qualified for. Whether you are a teacher, an accountant, or a recent graduate looking for anything, the right cover letter will get you started. When applying to various jobs, experienced job seekers know that the resume is only part of the package. The other part is the message that comes either in paper form or, more recently, in e-mail form. We're referring to the cover letter, an art form that has been neglected by far too many job hunters. Putting all of your effort into your resume and ignoring the introductory message that accompanies it is a costly mistake. If you understand the keys to crafting an outstanding cover letter, there's no need to be left in the dust in the race to find gainful employment. The first thing you need to know is that much like a resume, a cover letter should be brief, simple, and easy to read. Hiring managers don't possess large amounts of time to read the mounting pile of messages on their desks or in their inboxes. If they bother to give you their attention at all, consider yourself lucky! Keep them in a good mood (the kind of mood that prevents them from deleting your message) by writing no more than a few paragraphs, with your total output being a page or less. It's perfectly acceptable to use bullet points; indeed, this can be a useful strategy in summing up your main qualifications for the job. Sell yourself effectively in fewer than 500 words, and you may just be the winner. Besides, a brief message accomplishes one of your primary objectives: Keep the reader in a state of wanting to learn more about you. In the job search, this means piquing the hiring manager's interest so that he or she will grant you a phone call or, better yet, an interview. The second key is use an attention-getter or "grabber." Hiring managers see the same phrases and sentences over and over. Imagine how many times they hear somebody claiming to be a "self-starter" or a "people person." Your objective should be to stand out from the crowd and grab the hiring manager's attention within the first few sentences. An example would be: "Your company is a leader in the marketplace – but it needs a sales manager who can put this company over the top. I am that sales manager." Yes, that's a bold statement, but at least it's unique. One can imagine the hiring manager calling someone just to see if he or she can back up such an assertion. Any callback is a good callback, even if it's done out of curiosity. You might be surprised at how a bit of curiosity can turn into real interest and eventually a hire. There's another key to cover letter magic, which is keywords. If you see certain words in the job ad, job description, or company website that stand out and represent what the company would expect from you as an employee, pay attention because those are important keywords. These words and phrases should be inserted into your cover letter in a way that's natural and not overdone. You'll also want to insert commonly used industry buzzwords that pertain to your line of work. The idea is not to load up on keywords, but rather to show that you're attuned to the changing needs of the industry as well as the job position itself. If you're not the type of person to write documents from scratch, you'll want to know about next key, which is the worldwide web. Look online for sample cover letters and free cover letter templates that suit the type of job you're looking for. It's as easy as filling in the blanks if you manage to locate a cover letter generator online, and this can be accomplished in no time by entering a phrase such as "free cover letter builder" or "free cover letter template" into Bing, Google, Yahoo, or any search engine of your choosing. If you're willing to invest money into your job search, a professional letter template may be available for a reasonable fee from a writing or printing company. Yet another option is to skip the templates and instead look at a variety of free cover letter samples that you can easily find online through a search engine. The idea is to look at a number of examples and let them inspire you to compose a document that suits your particular style, situation, and purpose. Here another key that's essential to your success: Avoid the one-size-fits-all approach. Yes, it is very easy and convenient to blast out the same copied-and-pasted message to a hundred different employers. In some ways, that might seem like a good strategy, since you'll be reaching more hiring managers. However, it's important to realize that quality is much more important that quantity when it comes to your job hunt. It's much better to impress a handful of hiring managers than to bore a hundred of them with the same old boilerplate letter; even if you're using a template, your message doesn't need to look or sound like one. For each and every cover letter you send, do your due diligence and learn as much as you can about the company and the hiring manager at that company. Address your message to that person specifically (this is always preferable to "Dear Sir or Madam"), and mention things that pertain to that company in particular. This strategy will demonstrate that you care about the company and that you're truly interested in working there. So, to sum it all up, start with the first key, which is to compose a simple cover letter that is brief and gets directly to the point. Get the hiring manager's attention as quickly as possible by writing something interesting and bold (but not arrogant) within the first few sentences. Insert keywords in a manner that is logical and organic. Use templates and samples from the Internet to guide you, or consult a professional for assistance. Additionally, eschew a one-size-fits-all approach in favor of a highly tailored strategy that demonstrates knowledge of each individual company and hiring manager. Combine all of these keys and tips, and your search for a job might end up being much quicker and easier than you ever imagined it would be.